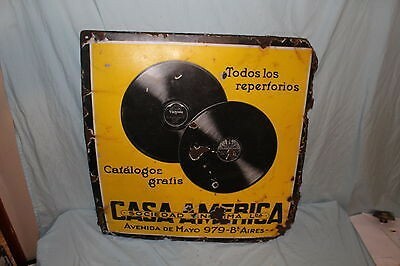 This sign is for Casa America Victor Records. The sign’s colors are black and yellow. The text on the sign reads: Todos los reperiorios Caralogor gralis Casa America Avenida de Mayo 979 B Aires. The sign shows two records and surrounding text.